Looking for a Drug Rehab or Alcohol Rehabilitation Center in Colorado? A drug or alcohol problem doesn't have to progress to a "rock bottom" point before someone in Colorado will benefit from a drug rehab program that can help them. Drug rehab programs can actually work more effectively the sooner someone makes it to treatment. And when you think about it, individuals can avoid many of the consequences of their addiction the sooner they get help. If you know of someone who is experiencing a substance abuse problem but won't get help on their own in a drug rehab in Colorado, speak with a drug treatment counselor who can provide guidance and helpful advice and possibly even recommend an intervention. If you need help, speak with a drug treatment counselor yourself to get any of your questions answered and to see how you can make your life better starting today. In a single-day count in 2013, there were over 42,250 Colorado residents who were enrolled in substance use treatment. This is a significant increase from the single day county in 2009, which was 39,179 individuals. Among those in drug rehab for treatment in 2013 in Colorado, nearly 22% were in treatment for drug use only, 38% were in treatment for alcohol use only, and almost 40% were in treatment for both drug and alcohol use. Alcohol is a very significant problem in the state as can be seen by the statistics, but amphetamines which would include stimulant drugs such as methamphetamine and crystal meth or "ice" are also a serious issue because they are the illicit drug with the highest rate of abuse among treatment admissions. Not far behind however is heroin, and to put opiate abuse into one category "other opiates" should also be considered which when combined account for over 11% of treatment admissions. This problem is so profound, that Colorado actually ranks #2 nationally in non-medical use of prescription opioids which would fill into that category of "other opiates" mentioned above. Because so many abusers of other opiates, such as prescription pain killers, progress to heroin abuse, this problem need to be treated aggressively in the state and efforts must also be made to prevent other opiate abuse in the first place. This could be in the form of education and early intervention efforts among use and legitimate prescription holders who become addicted and dependent to prescription opiates and synthetic opioids. In Colorado about 268,000 adults aged 21 or older per year between 2009 and 2013 reported recent heavy alcohol use and an estimated 353,000 individuals aged 12 or older were dependent on or abused alcohol. Of these residents who were dependent on or had abused alcohol, nearly 89% needed but did not receive treatment. About 40,000 did receive some form of alcohol treatment in Colorado, but there is there is a significant discrepancy between how many people need treatment and those who actually receive it. There are around over 440 outpatient treatment programs in Colorado, with several different intensities of treatment to choose from. You can receive outpatient treatment as often as one day per week or every day of the week, with the most intensive outpatient treatment options being day treatment/partial hospitalizations facilities in the state of which there are 17. Day treatment/partial hospitalization drug rehab in Colorado often includes more intensive and specific treatment for addicted individuals who also need to address a co-occurring mental health disorder or other underlying condition. In contrast, there are only 12 hospital inpatient programs in Colorado, but there are also a number of residential facilities providing similar services in either a short term treatment format or long term. There are also 10 facilities offering outpatient detoxification, which means they only provide the immediate services that newly abstinent clients require to get through detox and withdrawal but no further treatment. In addition to the options above, there are also 10 programs providing opiate maintenance therapy to over 2,500 opiate dependent clients. These facilities provide clients with either methadone or buprenorphine to curb opiate withdrawal, and these clients receive very little treatment if any in terms of substance abuse counseling or therapy to resolve the problem. What does Inpatient Rehab in Colorado Involve? Inpatient treatment in Colorado allows an individual to have a safe space to recover, which is free of things which could stimulate or trigger their desire to turn back to their addiction as a means of coping and during times of weakness. They will have a continuous support structure in place, and daily activities which help move them in a positive direction, and where their progress and challenges can be constantly monitored and adjustments and improvements made where needed. 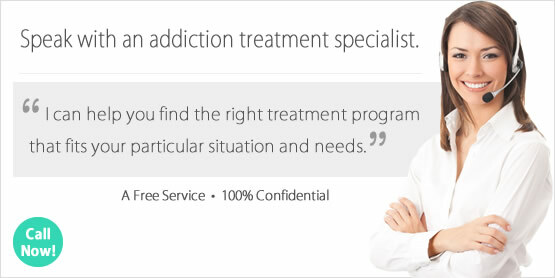 Treatment plans are usually structured around outcomes of the initial assessment clients receive upon arrival to inpatient treatment, but typically includes relapse prevention, substance abuse counseling, behavioral and motivational therapy and similar techniques, and other services which can vary depending on the treatment facility chosen. Treatment in an inpatient facility in Colorado will typically take place based off of a short term 30-day program, or a long term 60-120 day program. Inpatient drug rehab programs are also often able to deliver dual diagnosis treatment, for individuals who may also need to address a co-occurring mental health disorder while in treatment. What does Outpatient Rehab in Colorado Involve? The extent of one's activities and overall commitment to treatment can vary greatly in an outpatient setting, and regular outpatient clients may only be obliged to take part in treatment services for one day per week. More intensive outpatient programs in the state require several days per week, and some even require a daily commitment to treatment such as day treatment and partial hospitalization facilities. Outpatient clients in most facilities in Colorado can expect to take part in group, individual, family, and marital/couples counseling and some offer a much broader range of services including behavioral modification and motivational skills training. There are some outpatient facilities which can provide services to individuals with co-occurring disorders, and will provide a comprehensive mental health assessment or diagnosis and mental health services.